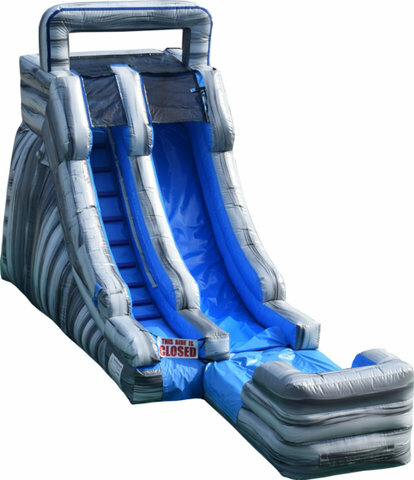 Our new "Slate" Water Slide Rental is the perfect choice to help entertain the little tikes searching for BIG fun! The fun will be endless with this water slide rental and is compact enough to fit in most backyards. The "Slate" water slide rental will ensure your party goers splash into a fun time, keeping the Central Florida heat at bay. 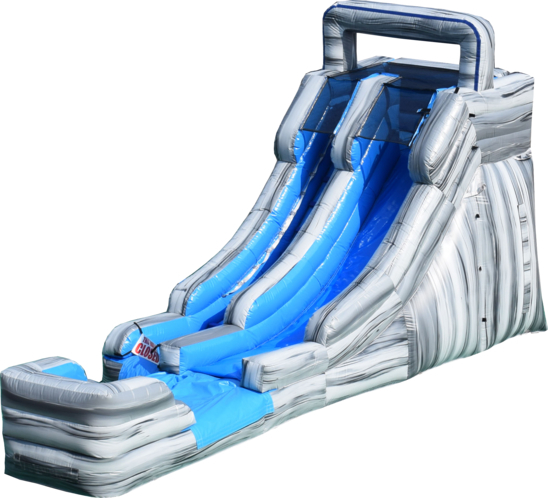 If you are planning pool party or just need a fun time for the little ones, all you need this water slide to bring out the fun in the sun. The "Slate" Water Slide will bring the fun until the sun goes down! Great for backyard parties, birthday parties and get to gethers! Perfect for ages 3 - 15. Please note we do not supply the water hose and will being using a hose that you supply.